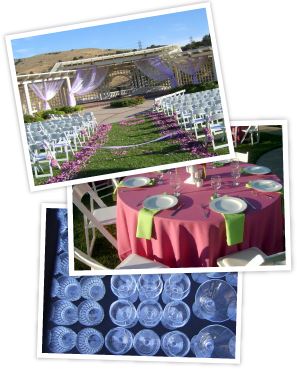 We offer an outstanding selection of premium party rental equipment at competitive prices. Available rental items can be viewed online or in our vast showroom. Our experienced staff is waiting to assist you in putting together your rental order and answer any questions you have. Design ideas can be viewed in our online photo gallery, in person, or developed with the help of our experienced staff.